Welcome to the Windy Bottom Ranch…the finest Cattle ranch in the whole of the USA! Smilin' Sam is looking for some cowhands, skills include 'walkin and talkin' like a cowhand, riding on a horse and twirling a lasso. Jules has always dreamed of working on a ranch, she’s got the outfit, she’s seen the movies but is she cut out for the life of a cowhand! Sing-along with us, our songs have actions but don't you worry...we'll show you want to do. 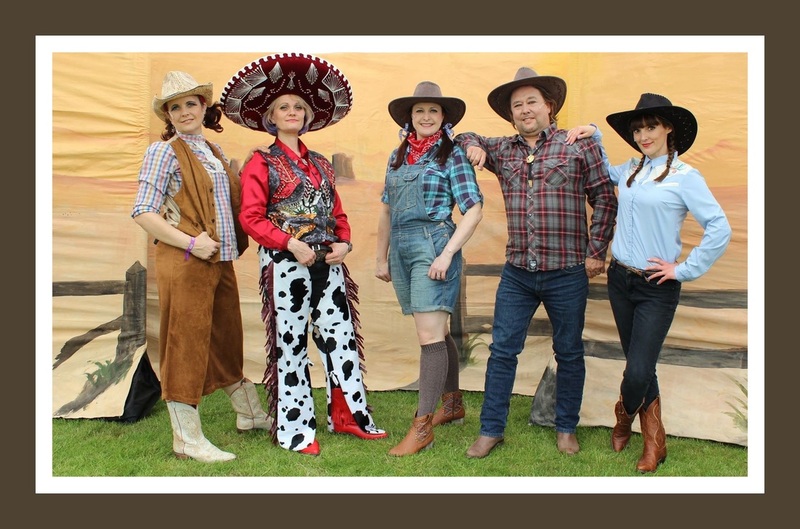 Now everyone loves to line dance so make sure you have your dancing feet at the ready! Learn to be a cowhand- Yee-haw! Imajica Theatre Companies touring production of Smilin Sam's Wild West Adventure' can be performed anywhere, all that we need is access to electricity. We can provide a show tent for outdoor performances and can adapt out set for any space. Our shows can consist of 4 to 6 actors to allow us to offer a performance to suit your budget and we are self-contained, so set up, organize our audience and clear away independently. ​ We provide a set and bring along our own PA system and sound tech but can also perform on a stage and work with a stage crew provided by you. 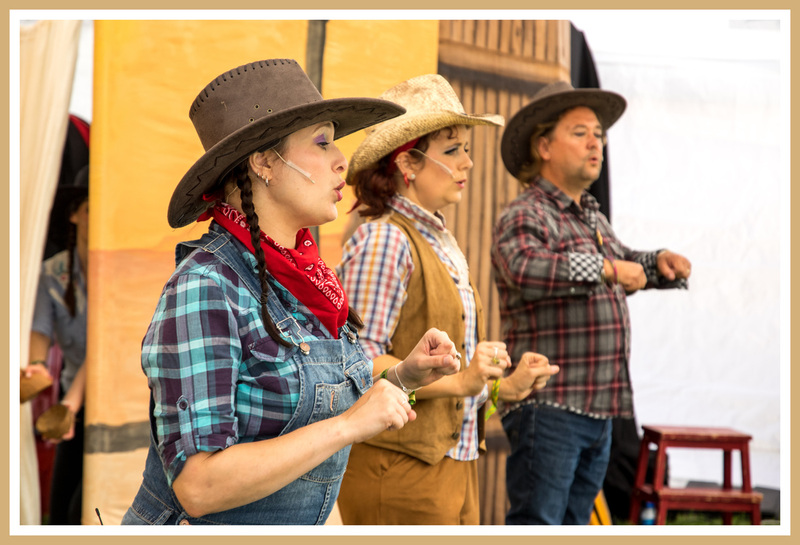 A workshop includes games such as Ranch & Prairie- a drama game to build characterisation. 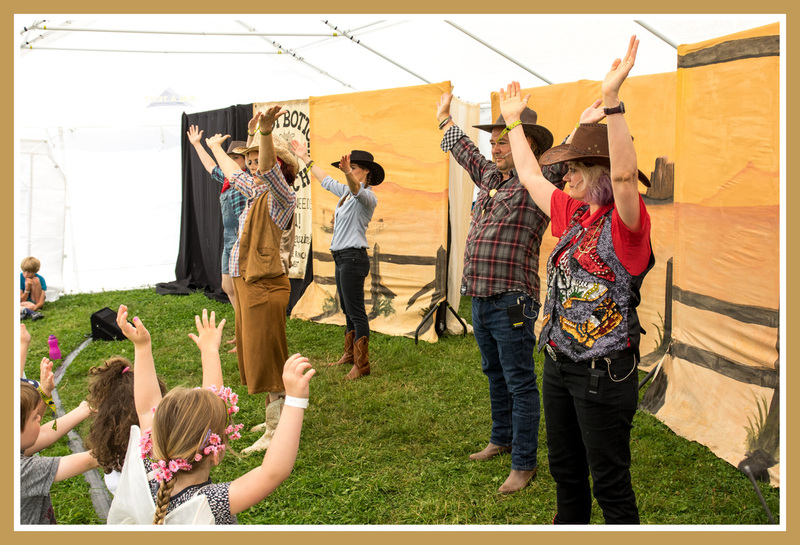 Wild West Statues - musical statues, Twizzle and Twirl - lean some line dance choreographies and She'll be comin round the mountain - Sing-a-long with actions to this well-known song - 'Yee-haw' - in interactive and imaginative drama game with songs and dance.